Or more accurately, “How I manage my gambling budget”! The key for me is ensuring that I don’t overspend but manage to have a get a good level of entertainment and a good mix of winning and losing thrown in! Because online casinos and poker rooms are so accessible, it makes it trickier to walk away like you can at a Bricks & Mortar (“B&M”) casino. It’s especially difficult if you work from home or have long periods with little to do or where you get bored. So if you are anything like me and tend to milk things you enjoy way too much, it’s important to set up some controls that help you to limit your spending. The first thing I did was to set up a free Neteller eWallet account . The next thing, and probably the most important, was to set up a second “checking” (“current”) account, WITHOUT Internet banking facilities and WITHOUT a debit card. I call this my “secure account”. This account is the one I use for “everyday life” and it has all my direct debits and bills paid from it. When I receive my salary cheque, I put it into my original bank account, and transfer over everything except what I know I can afford to play with to my secure account, out of harms’ way. This leaves me with an “entertainment allowance” in my main bank account which I can access online or with my debit card. Once it’s dry, that’s how it stays until next month. In addition to this, I decided to implement a maximum daily deposit limit on the two casino accounts I use most regularly. Both these casinos are Microgaming casinos, and the reason I did this was because Microgaming games, I find, can be more streaky than at other casinos and I want to ensure I don’t end up chasing my losses. So I contacted Support at both casinos and they implemented a daily deposit limit for me on my debit card. The only way I can gamble more than this in a given day is when I win, or I have funds in my Neteller eWallet account. If you use an Accredited Casino like VideoSlots, Casumo, Trada Casino or CasinoMax for example, when you log in you can set your own limits and you are unable to increase them again for whatever days you choose as your limit. Great idea. Check before you play! 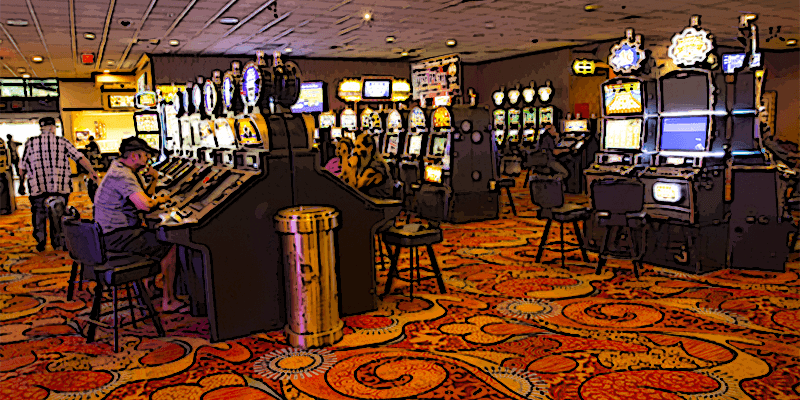 One other thing that is terribly important to me: many casinos have what’s called a “Reverse Withdrawal” period which means that you can still access your money for X hours after you cashout. I hate this with a passion as it is simply there to entice you to lose your winnings once you run out of money. So I only play at casinos which either do not have this (Cryptologic casinos) or at those which are prepared to remove the Reverse Withdrawal facility altogether or reduce it to one hour max. Any casino that will not do this for me doesn’t get my custom. A list of all the Reverse Withdrawal timings for most reputable casinos is available in our Accredited Casinos section. To ensure I get a good ongoing level of entertainment from the casinos and don’t blow my budget in one day on a bad streak, I have implemented a “rolling cashout” policy. I cashout to my Neteller account as invariably I get the money quicker, next-day. Incidentally, I also asked Neteller to remove the “Credit Card” deposit option to avoid temptation. Basically I then set targets as I play and cashout as I hit the target. For example, I might start with $100 and set a target of $200. If/when I hit that, I’ll cash out $50 plus anything extra above the $200, leaving me $150 to continue playing and the rest to come back for another blast on another day. Finally if you are playing slots, it’s important to understand the concept of “variance“. The lower the variance, the lower the risk, but additionally you will hit less of the “big” wins and more of the smaller ones. You’ll need to set your cashout sights lower, perhaps at 50%. The more you increase the variance, the faster your money goes, but obviously you could hit bigger wins if you are lucky. You are increasing the risk. If you want entertainment and are happy to aim at smaller profits, stick low. If you have money to burn, aim higher and good luck! But stick with the other strategies outlined on this page or you could burn it all up quickly. For details on which slots are low/medium/high variance check out the Slots section of our forum. Essentially, that’s it. Sometimes when I get a really good sized win, I also then set a time limit on my session and I try to make sure that I don’t increase my bets too much. But sticking to the “rolling cashout” method I mention above prevents the need for this so I’d stick to it where you can. You’ll get far more enjoyment out of it and you won’t have those nights where you regret ever downloading an online casino! Lol. Remember, some games are very streaky by nature (normally those that offer huge top-end payouts like “free spins” slots) so knowing when to cashout is critical to the strategy!